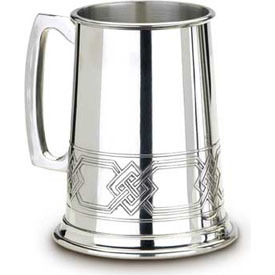 This beautiful, lead-free pewter tankard with a square handle features an embossed Celtic design around the base. 16 ounce capacity (a full pint! ).